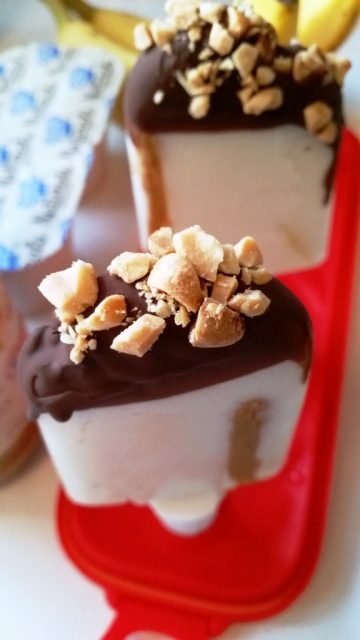 Chunky Monkey Pudding Popsicles. 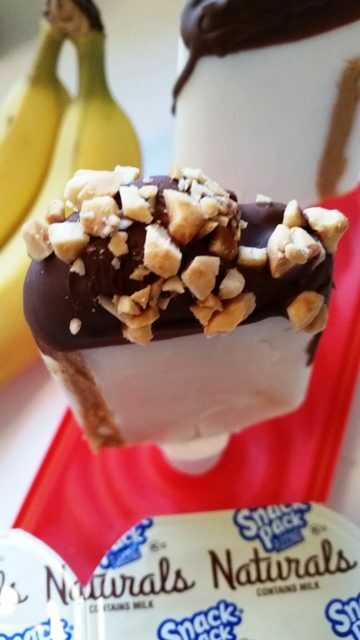 Frozen Vanilla Pudding Popsicles filled with creamy peanut butter ripples and banana slices dipped in chocolate and peanuts. My kids love popsicles and they love pudding, so I thought I would make a delicious Chunky Monkey Popsicle. I was right! 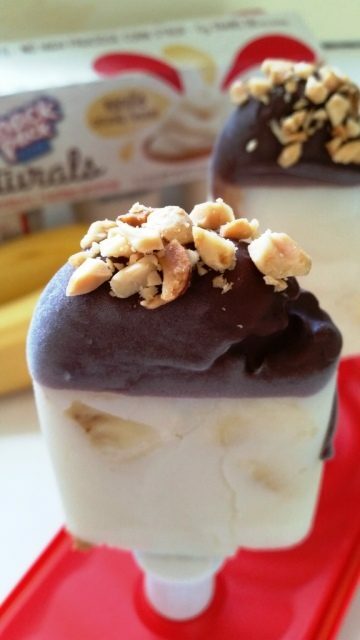 My little monkeys went bananas for these Chunky Monkey Popsicles. 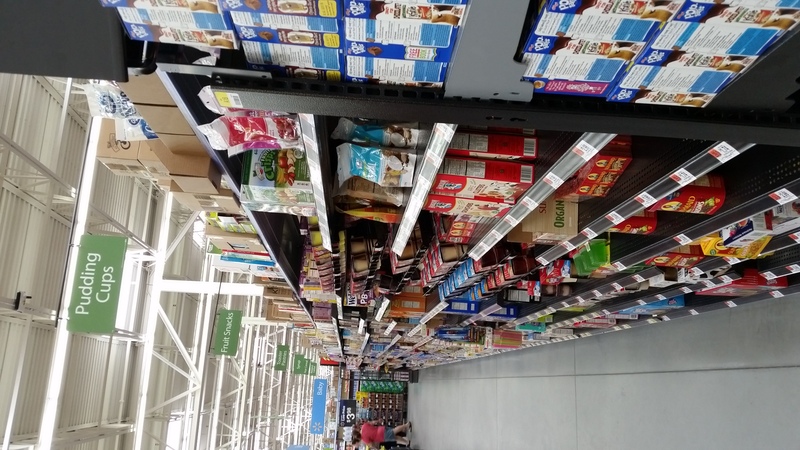 Snack Pack Naturals is a new pudding, with no preservatives or high fructose corn syrup. 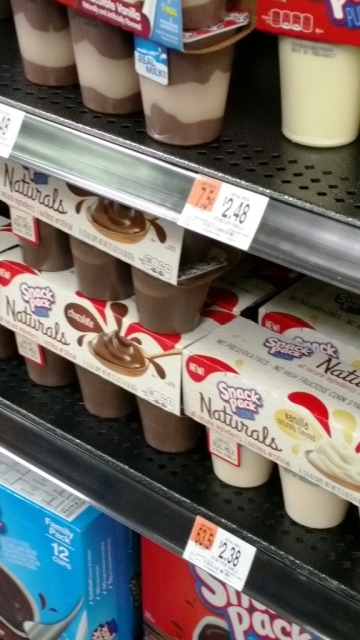 I am so happy that this new pudding is all natural with nothing artificial! It’s a fantastic choice for a snack for my family. It’s so easy to make these Chunky Monkey Popsicles when using a quick Popsicle maker! See those yummy bites of banana in the popsicles? 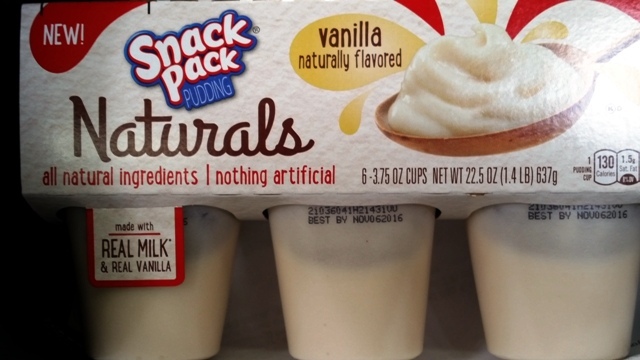 New Naturals Snack Pack Vanilla Pudding is a delicious snack! 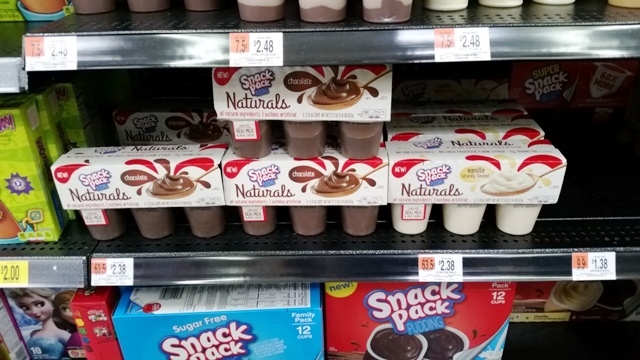 I found the New Naturals Snack Pack Pudding Cups in the Pudding Cup Aisle of my Walmart. Ingredients for making Chunky Monkey Popsicles. Frozen Zoku Popsicle Maker ready to make popsicles! 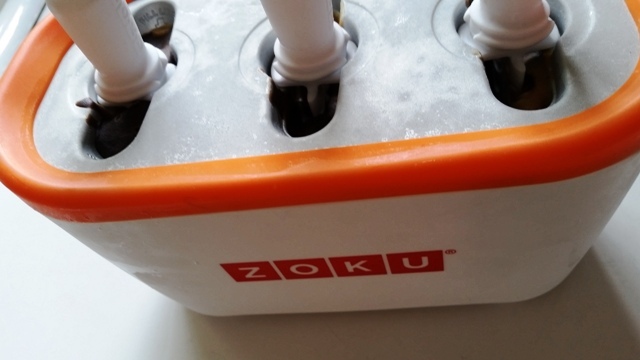 Only takes 10 minutes to make the popsicles when the Zoku is frozen. Place sliced bananas in each slot, sprinkle mini chocolate chips, pour vanilla pudding in, place a popsicle stick in middle, let freeze for 10 minutes or until solid. 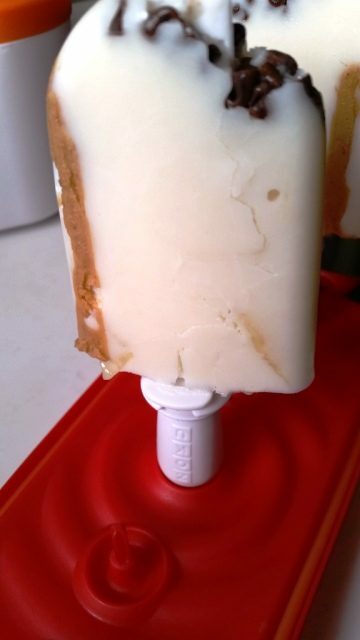 Gently remove Popsicle from Zoku. Melt chocolate, chop peanuts. Dip Popsicle in each. Place back into the freezer until ready to eat! 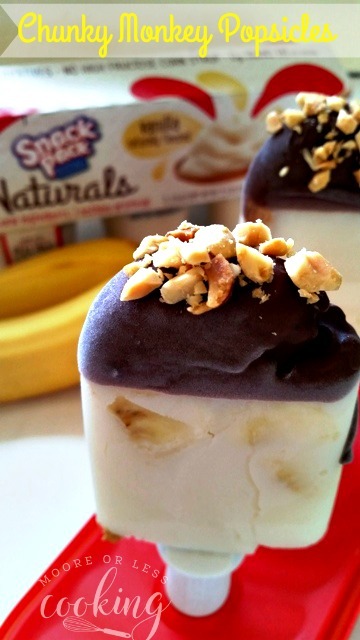 Easy Pudding Popsicles with ribbons of peanut butter and bananas dipped in chocolate and peanuts. Combine pudding and milk. Set aside. Remove Zoku Popsicle Maker from freezer. 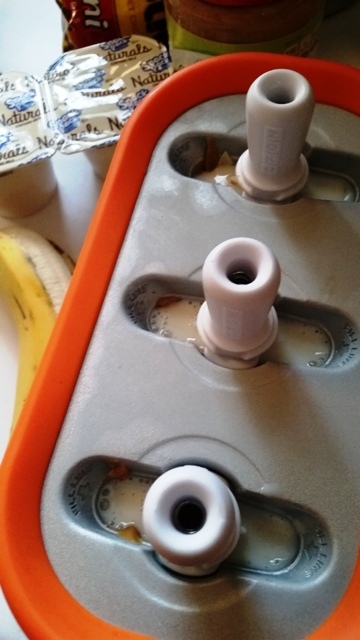 Place 4 slices of banana in the wall of the quick popsicle maker. Drizzle 1 tsp peanut butter in each popsicle slot. Sprinkle mini chocolate chips at the bottom. Pour vanilla pudding in slot up to the fill line. In a small bowl add coconut oil and ¼ cup chocolate chips, place in microwave for 10 second intervals until melted, mix until smooth. Dip popsicles in melted chocolate. Dip in chopped peanuts. Return back in freezer until ready to eat. Repeat instructions to make the next set of popsicles. For more information and recipes, Click Snack Pack Naturals website. I am so happy when you create my recipes! If you make these Chunky Monkey Pudding Popsicles, make sure to leave a comment letting me know that you did and include #Mooreorlesscooking. What kind of popsicles do you like to make? I know what I’ll be making when the grandkids come to visit this summer! They look wonderful! These look like so much fun! I love how easy they are, and how delicious they must be! Great for my niece when she comes to visit as well! Yum! These look amazing! My kids will love them as summer snacks! 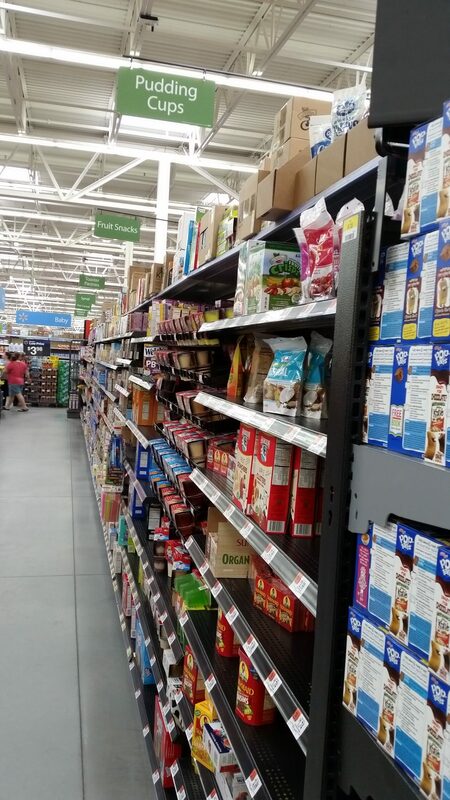 It’s so nice to see healthier choices on the shelves! Thanks for sharing this adorable summer snack. My grandkids would LOVE this for a fun treat! They could even help make them! So glad to see a healthier pudding option! I bet these are so creamy! They look delicious! My daughter and I love making popsicles and pudding pops. These look wonderful. 10 minutes and you have popsicles . . . now that’s a winner of a recipe. I do love chunky monkey and using pudding is a great idea, the little ones really enjoy these. What a delicious summer snack! I am sure my kiddies would love these! Summer is here already and these popsicles are the perfect little thing! These popsicles are super clever! What a creative way to make frozen treats fast easy, not to mention super delish! My kids would FLIP for these! Perfect summertime treat! What a fun idea to create pudding pops. These will be a big hit during our pool parties. Wonderful idea, I’m all in for thesemonkey pudding popsicles! Thank you Del, they are super fun and the kids and adults love them!